One show I apparently missed off my laundry list of upcoming sitcoms was Jennifer Falls, which premiered on TV Land last week. Jaime Pressly stars as ‘Jennifer Doyle’, a high-flying single parent with “anger issues” who loses her big city job, and is forced to move back to her hometown to live with her interfering mother (Jessica Walter), and work as a waitress in her brother’s sports bar, wearing a demeaning uniform. Meh. All of this gave me a serious case of deja vu… like a less churchy GCB crossed with Working The Engels. 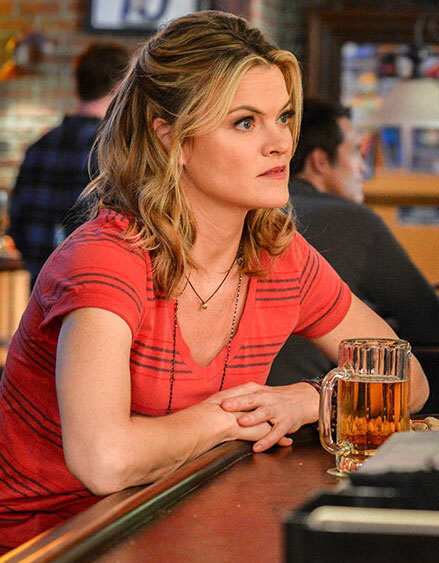 On top of that, she’s also trying to win back the respect of a former BFF (Missi Pyle), who she lost touch with after moving up in the world… much like Becki Newton’s character in The Goodwin Games. I know “there’s nothing new under the sun”, but the over-familiarity of the premise might not be such a problem if the jokes were funnier, the plots less contrived, and the supporting characters less irritating. 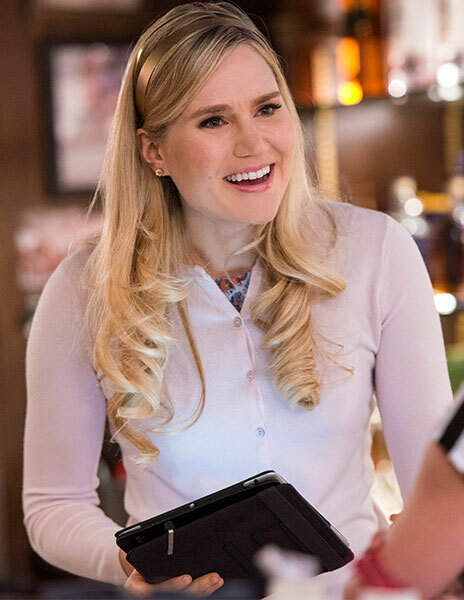 The worst offender on that score is Jennifer’s sister-in-law/manager, ‘Stephanie’ (Nora Kirkpatrick), whose sole defining personality trait (so far) is that she’s passive-aggressive and condescending. Jennifer calls her on this the first time they meet on-screen, but Stephanie laughs it off, and in every scene after that literally all she does is needle away at Jennifer… and obviously our heroine has to tolerate such obnoxiousness, because she needs the work and doesn’t want to piss off her brother, but that doesn’t mean that viewers with easy access to an “off” button need to suffer along with her! I’ve seen two episodes so far, and there were definite signs of improvement in the second instalment… not least because they prised Stephanie and the mother off Jennifer’s back, and had them plotting a grandchild together in a separate sub-plot…. but the main plot still made my teeth-grind, with its hoary old “trying to date two people at the exact same time” farce. Technically, she wasn’t dating either party… rather she was trying to convince some old work-mates that she was still “in the game”, while also trying to mend bridges with her hometown gal-pal, dashing back and forth between a private box and the nosebleed section at a Black Keys concert! Feh. The really frustrating thing is that when Pressly and Pyle are just kicking back, reminiscing over old times and swapping playful banter, you can see the potential for a really great show, buried under all the broader sitcom clichés… but those more intimate moments are few and far between sadly, and I’m not sure that TV Land is the best place to nurture that sort of grounded, naturalistic comedy. It’s such a shame to see these two fantastically talented actresses being wasted like this, but I’ll probably keep watching the show anyway (with my fingers crossed, hoping for the best)… and, hey, at least it’s a step-up from I Hate My Teenage Daughter! Which reminds me: Dylan Gelula plays Jennifer’s not-at-all-hateful teenage daughter, ‘Gretchen’… but her character hasn’t done anything especially noteworthy yet, so… er… end of sentence. This entry was posted in Rants about TV and tagged Dylan Gelula, Jaime Pressly, Jennifer Falls, Jessica Walter, Missi Pyle, Nora Kirkpatrick. Bookmark the permalink.